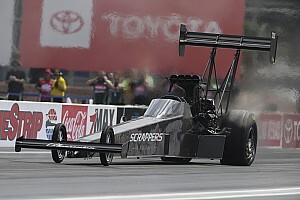 The latest pair of siblings to battle in an NHRA final were Division 7 regulars Gabriel and Val Torres Jr in Super Comp. Older brother Val was first off the starting line .024 to .035, but Gabriel drove around him to win by eight-thousandths, 8.922 to 8.941. 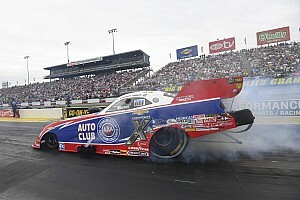 For Gabriel, the win was his second in NHRA national event competition following his inaugural victory at the 2014 Auto Club NHRA Finals.